I am a Spanish author, psychologist, educator and activist. 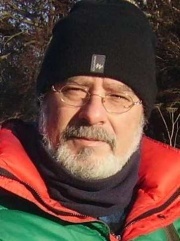 I was born in Caracas (Venezuela) on 31st May 1957, son of Spanish emigrants who went back to Spain when I was 7. Currently, I am living at Edinburgh (Scotland, UK), together with my partner, Marta Ventura, and her son, Martí (b. 1998). But I have also another stepson, Govinda (b. 1980), and my daughter, Diana (b. 1984). PhD in Education at the University of Granada, with a research on traditional stories from all around the world as educational tools to transmit a complex systems thinking and the values of social justice, peace and sustainability framed by the Earth Charter.MA in Innovation and Research in Education atUNED(2012), and MA and BA in Psychology by theUniversity of Valencia(1980). As a researcher, I belong to the Research Group "Emerging Values, Social Education and Educational Policies" of the University of Granada, Spain. Under the pen name of Grian, I have published 14 books in Spanish, some of them being translated to 12 languages. 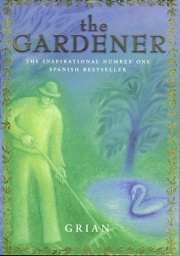 To highlight, El jardinero (1996) (The Gardener, HarperCollins, 1998), with 26 editions in Spanish, and La rosa de la paz (2003) (The Rose of Peace), Associated Book in the Universal Forum of Cultures of Barcelona 2004. I have worked as director and lecturer in the Avalon Project - Initiative for a Culture of Peace (2003-2013), an educational and activist NGO backed by Prof. Dr. Federico Mayor Zaragoza, UNESCO Director-General (1987-1999). I have worked as a clinical, educational and sports psychologist (1980-2000). As a sports psychologist, coaching the elite rally driver Luís Climent, I have worked in the Opel, Citroën and Renault Spanish official rally teams, and in the Skoda World Rally Team, winning a Spanish championship (1996) and a world championship (FIA Cup, 1999). As director of the Avalon Project, I have organized a number of campaigns, mobilizations and demostrations. I was deeply involved in the Spanish Protests 2011-2012 (Indignados-15M Movement), and currently in the climate change campaign in Edinburgh, starting with the People's Climate March on 21st September 2014 and continuing until December 2015, when the Climate Summit will be held in Paris. CUTANDA, G. A. (2012). Mythical narratives as a resource for the sustainable development education. Analysis of pertinence. (MA dissertation). Universidad Nacional de Educación a Distancia - UNED. Madrid (in Spanish, abstract in English). CUTANDA, G.A. (2013). Values education in Translation Studies: The translator’s educational role in globalization. 3rd International Translation Conference of Baghdad. May 7th-9th, 2013. University of Baghdad and Al-Ma’amoon House of Translation and Publishing, Ministry of Culture, Iraq. CUTANDA, G.A. & MURGA-MENOYO, M.A. (2014). Analysis of mythical-metaphorical narratives as a resource for education in the principles and values of sustainability. Journal of Teacher Education for Sustainability, 16(2), 18-38. MARTÍNEZ-RODRÍGUEZ, F. M. & CUTANDA, G. A. (2016). "Critical pedagogy and social movements against the neoliberal harassment". Submitted to Critical Studies in Education, now in peer review. CUTANDA, G. A. (2016). Traditional Stories and the Earth Charter: Towards an education in the complex-systems worldview (PhD thesis). University of Granada. Granada, Spain. This page was last modified on 10 May 2016, at 13:46.